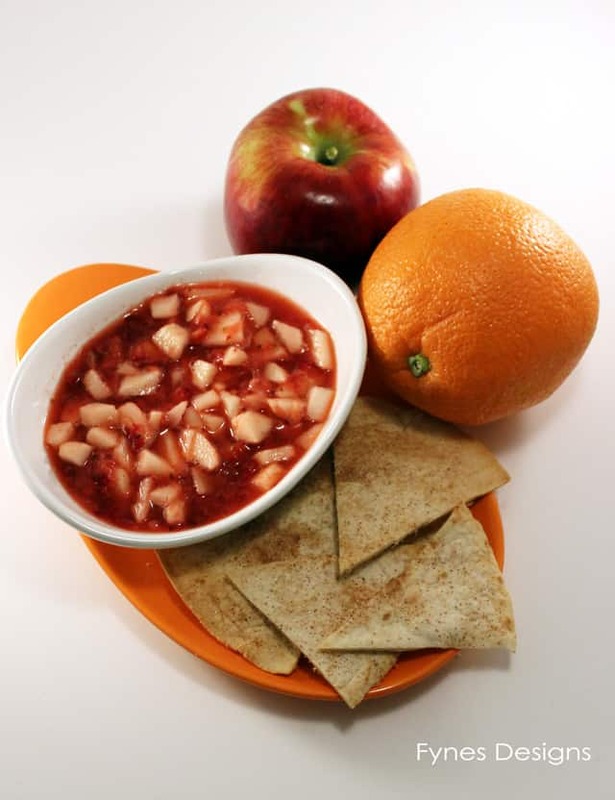 I don’t often share recipes but when my kids didn’t take time for breathing while eating this yummy fruit salsa snack I knew it was share worthy! 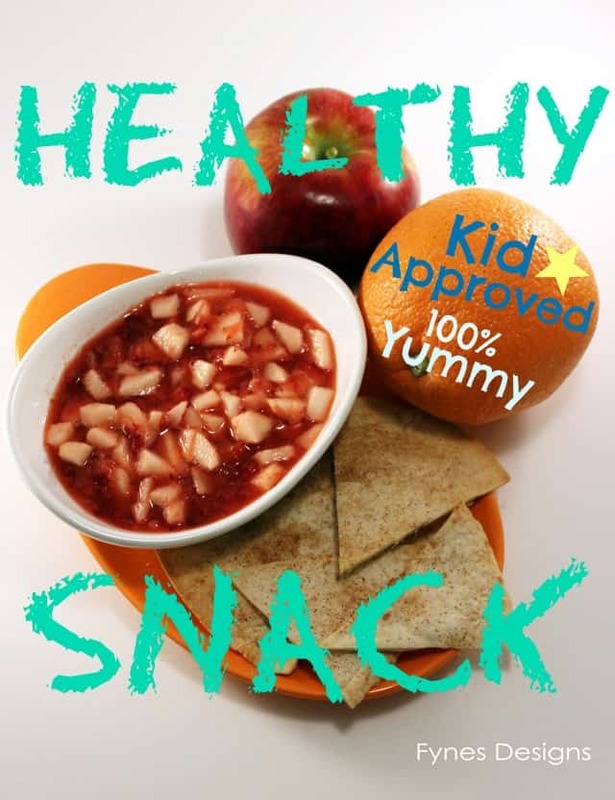 This recipe is a toddler and teen approved kid snack, super healthy and inexpensive to boot! 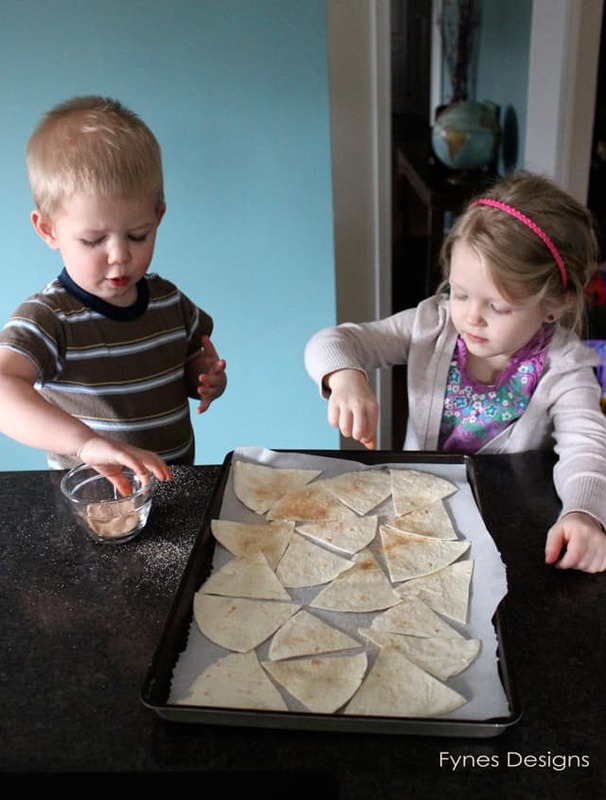 It will literally take 10 minutes to make (depending on if you let the kiddos help). In a medium size bowl, mash the strawberries. 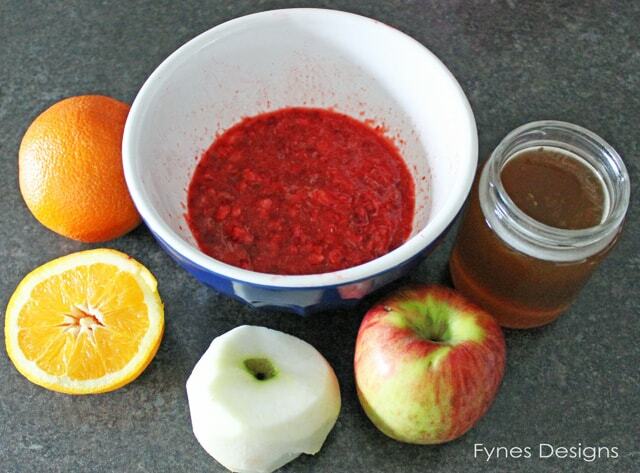 Add the diced apple, honey and orange juice. Stir. Combine the sugar and cinnamon in a small bowl. Cut the wraps in triangles and brush with water. 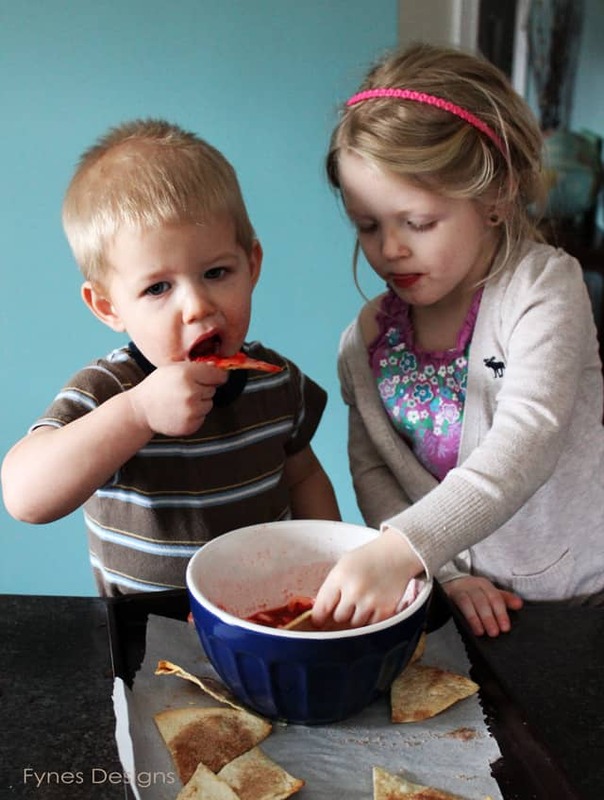 If you can stand the mess, allow the kids to sprinkle with sugar mixture. Bake in preheated 425deg oven for 5 mins. Dip you chips and ENJOY! This simple recipe is so tasty its dangerous. By far my favorite kid snack (I can’t lie I can’t get enough of it either), I think the kids even licked the bowl clean! *Our teen is allergic to apples so I substituted his with orange pieces and he thought it was to die for too! This is such a great idea, Virginia! I really want to try this with my girls this Summer! Thanks for sharing with us this week at Monday Funday!